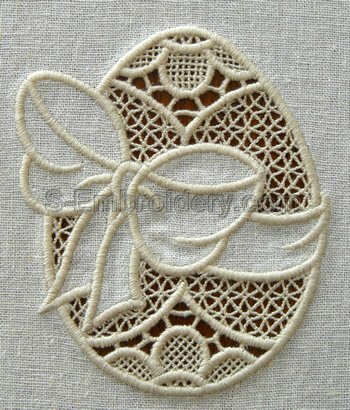 This Easter Egg cutwork lace machine embroidery will fit in 4x4 hoops. 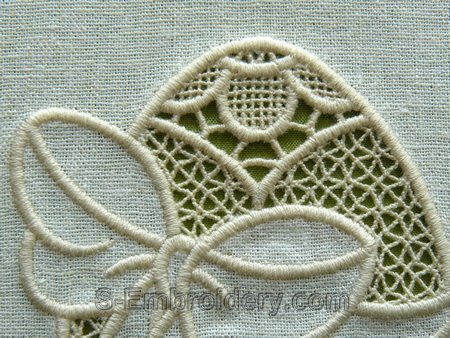 The design can be done with 1 or 2 thread colors. It comes with instructions for stitching out cutwork lace.